Our commercial and agricultural services department (CAS for short) is constantly surpassing the expectations of our business members. With over 100 years of combined financial experience, our group of account managers offer a complete range of financial services that will cater to your business’ (or your!) every need. Our CAS team is completely mobile, wandering the open highways of Manitoba, contemplating the meaning of the universe… well, not really – they’re really on their way to meet with business members like you! As a business owner, we get that you’re busy. That’s why we’ll come to your office (or preferred meeting spot) when you need us. Our credit decisions are all made locally, which means you can expect rapid responses and approvals. And just so you can always get a hold of us, you can find our CAS team members’ contact information below, along with a quick introduction. Now based in Stonewall, Ian grew up tossing bales on a grain farm in Argyle, Manitoba – so he understands agriculture. 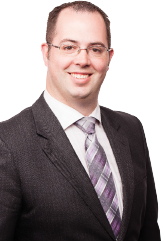 Ian holds a diploma in Business Administration from Red River College, and began his finance career with Sunova in 2005 before joining the Stonewall branch in his current position in 2008. Ian is a sports nut and can’t wait until his son James is old enough to join in the fun. He also loves taking family vacations with his wife Laura and James, especially to Walt Disney World in Florida. Ian considers himself to be very lucky in all aspects of his life – from having supportive and loving family all around, to having women in his life who are amazing bakers! He can make himself hungry just talking about their baking. Feel free to bring Ian baked goods in an attempt to lower your mortgage interest rates – he can’t guarantee it will help, but it’s worth a shot! Ian works in the community that he lives and was raised in. His pride in his community means that he wants to see your business succeed and will do everything he can to help. 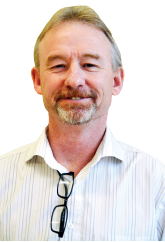 Ian’s goal is to be a ‘partner’ in your business, and to provide you with the advice and guidance you need to ensure that your farm or business is on the right path. Iruobe is a commercial services account manager based in Winnipeg. He’s called Winnipeg home for years now, after moving from Nigeria in 2007. Iruobe studied at the University of Winnipeg where he got a BSc Biology degree and a BBA Economics and Finance degree. Needless to say, he’s pretty smart and a great guy to help with your business finances. Iruobe loves working with different business and is here to do whatever it takes to help his members. When he’s not with members, you can find him driving down the highway on his motorcycle. Unless it’s winter, then he’s all business. Now based in Winnipeg, Jay was born and raised in India. He moved to Canada in 2010 to attend the University of Winnipeg. 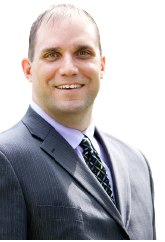 Jay holds a Bachelor of Business Administration from the University of Winnipeg and has worked in the banking sector for the last 7 years. Jay starts every project by talking to his clients about their goals and aspirations. He works diligently with his clients to achieve their goals and goes above and beyond to deliver superior customer service and financial advice. Jay is a commercial account manager at Sunova and works with all kinds of businesses, including real estate, retail, manufacturing, and construction. He provides both short- and long-term financing solutions to support every phase and challenge of a business, from start-ups to mature businesses. In his free time, Jay enjoys riding his bike and spending time with his family. Larry Watkins is a commercial and agricultural services account manager working out of Beausejour, where he has lived for the past 20 years. He comes from a finance background with a major in accounting, which allows him to better understand businesses and their financial issues. Larry is a true outdoorsman, but he’s just as comfortable in the kitchen experimenting with new recipes – his favourite dessert is his own chocolate chip cookie recipe! Larry prides himself on being able to say that he has rarely passed on any opportunity that has come his way. He believes in living life to the fullest! Larry has years of experience in the finance and business industry and has been able to help many members fulfill their dreams – many of them multiple times over. He will meet with you at your residence or place of business to review your commercial or agricultural needs, and to help you take the next step to make your dreams a reality! Michael Bjarnarson is an account manager with Sunova’s commercial and agricultural services department, working out of Beausejour. 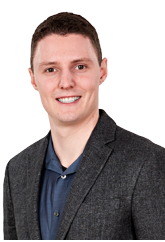 Michael holds a Bachelor of Science in Agri-Business from the University of Manitoba, and has been working in the field of commercial and agricultural lending for the past ten years. He is married with two kids, and enjoys spending time in the outdoors. Fishing and hunting are hobbies, and his favourite dessert is quite fitting of an outdoorsman: pumpkin pie! Michael feels lucky to have had the opportunity to work with a number of different business owners who have helped him learn more about their businesses and industries. He credits these relationships with helping him develop his knowledge and experience as a lender, and is glad that in his profession, there is never a dull moment and always something new to learn! Michael is happy to offer his expertise in commercial and agricultural real estate financing, personal lending, equipment financing, operating credit, and business planning. Sasha was born and raised in Ukraine, moved to Canada in 2002, and now works in the Winnipeg area. 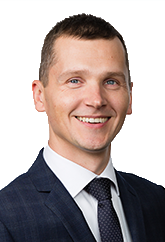 He graduated from the University of Manitoba in 2010 with a business degree from the Asper School of Business, and has been working in banking for over nine years. In that time, Sasha has enjoyed learning new things from members that he wouldn’t have had an opportunity to learn in any other industry. Sasha believes that his greatest talent is working to turn his dreams into reality. He believes in choosing to be lucky and working hard, instead of just waiting around hoping. His proactive attitude has yet to help him find a particular type of ice cream that he loved in Ukraine, but luckily Canada is brimming with his second favourite food: potatoes. As an account manager in the commercial and agricultural services department, Sasha can help you get your business to where you want it to be. On the other hand, if what you really want is to see a fancy car on the driveway of your new home – he’d love to help you with that, too! To say Shea Rutherford knows the farming business is a bit of an understatement. Shea grew up on a grain farm near Grosse Isle Manitoba and you can still find him working on the farm with his dad in his spare time. Shea joined Sunova as a Commercial and Agriculture Account Manager in early 2018, bringing experience from his time at John Deere dealerships and working as an agricultural bank analyst. Shea graduated from the University of Manitoba with a Bachelor’s Degree in Agribusiness. If he’s not on the farm or helping his members at Sunova, you can find Shea exploring open roads and hiking. Evy grew up on a small mixed farm just outside of Swan River, Mb. After graduating high school, she moved to Winnipeg where she received her Bachelor of Commerce (Honours) degree from the University of Manitoba with majors in Finance and International Business. Evy also has many lending courses under her belt, including the Commercial Lending Accreditation and the Fellowship of the Credit Unions Institute of Canada designation through the Credit Union Institute of Canada and Dalhousie University. On top of all this (wait, there’s more?) she has several years of banking, lending, and credit union experience. She has been working with businesses, farmers, and individuals to help them find lending solutions that match their unique needs since 2008. Evy currently lives in the wonderful community of Oakbank with her family. In the summer you can find her gardening, and in the winter you can find her surviving the cold.